October 7, 2016 by Ken Ward Jr.
… Justice’s mining companies still fail to pay millions of dollars in mine safety penalties two years after an earlier investigation documented the same behavior. Our analysis of federal data shows that Justice is now the nation’s top mine safety delinquent. Grant Herring, a spokesman for the Justice gubernatorial campaign, said Justice “won’t be doing an interview,” despite multiple requests after NPR provided details of our investigation. “I don’t think we should forget that the reason that he has those penalties is because there were violations and hazards in his coal mining operations,” says Monforton. 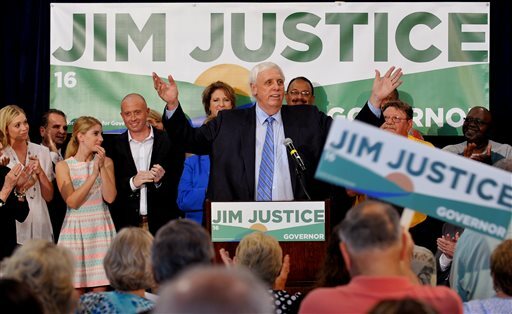 Most of the state and federal liens — more than $4.5 million worth — are in Justice’s home state of West Virginia, and more than 60 percent of that debt is for state coal severance taxes. But Herring confirms that Justice donated only $5 million and some land.